In the 1930s Britain and France both followed a policy of appeasement. 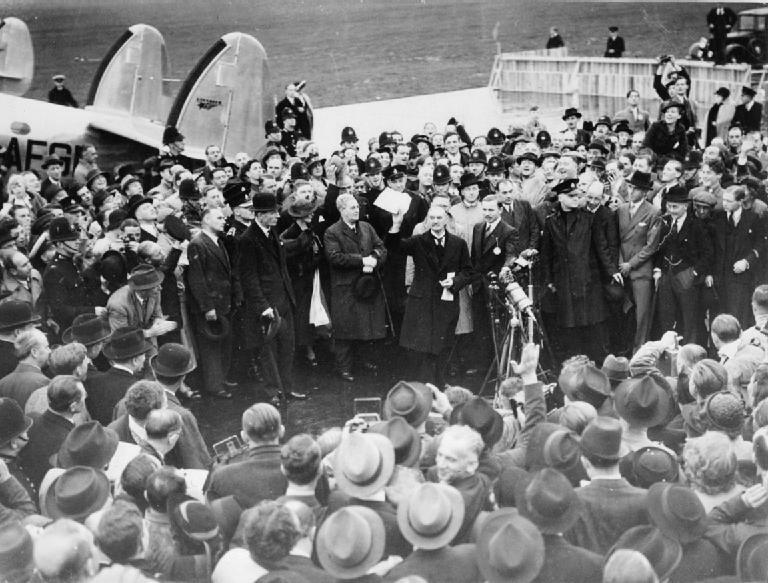 Appeasement was the simple act of giving in to the demands of another country to avoid war. The policy was popular in Britain for the simple reason that British people wanted peace. Britain was not ready for war and any way to avoid was seen as beneficial. Hitler’s actions in 1938, however, began to see a change in this ideology. 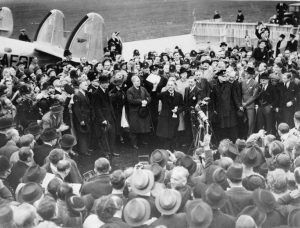 In 1938 Britain and France gave the Sudetenland to Germany in order to avoid war as part of the controversial Munich agreement. Hitler now saw Britain and France as weak and war became inevitable. Appeasement ended on 15th March 1939 when Hitler invaded Czechoslovakia. 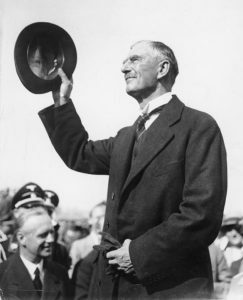 Two days later, Chamberlain gave a speech in Birmingham stating that he could not trust Hitler to not invade other countries. This is emphasised in Graham’s diary as he writes ‘The policy of appeasement is now therefore now at an end after Hitler’s bare faced theft of Czecho-Slovakia’. Indeed the actions of Chamberlain were fully supported by Thomas as he notes that he delivered a ‘top hole fighting speech’.